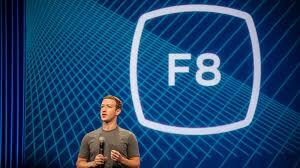 Earlier this week, Facebook held its annual global conference, F8, in San Francisco. As marketers working on behalf of some of Canada’s largest and well-known brands, our team at Active (especially our social team at iNvolved Media) were very interested in what the world’s largest social network was going to announce. Millions of people are already using Facebook’s popular messaging app, Messenger. However, Facebook has expanded the Messenger platform by allowing brands to reach out to their customers one-on-one. With Facebook’s new send and receive API, brands will now be able to provide information as simple as automatic purchase receipts and as detailed as interactive conversations. Facebook’s new Save Button will now allow people, from anywhere on the Web, to save everything from articles to videos and even products to a private list on Facebook. This is potentially big news for ecommerce as Facebook has also built in a reminder feature that will notify people if a product within their saved list goes on sale. There were many more developments that Facebook announced this week at F8. For more information on how the iNvolved and Active team can use Facebook can help your business achieve its goals this year, please reach out to me at kkanji@involvedmedia.com.